Miriam Makeba is a world-known South African singer and political activist. Known as “Mama Africa,” she has exposed Western audiences to African music and championed the struggle against apartheid. Miriam “Zenzi” Makeba was born near Johannesburg on March 4, 1932, to Caswell, a schoolteacher, and Christina, a domestic worker. When Zenzi was just 18 days old, her mother was arrested in their black township of Prospect, for selling home-brewed beer to supplement the family’s meager income. Mother and daughter served six months in jail while Zenzi’s siblings moved in with their grandmother near Pretoria. Caswell died five years later, leaving Christina with little choice but to send Zenzi to her grandmother’s home while she continued to work in Johannesburg. With a musical family, Zenzi quickly learned traditional African songs and explored jazz by listening to the radio and records. Zenzi gave her first solo performance at the age of thirteen, when her high school choir sang for King George VI of England. In 1949, Zenzi married school sweetheart James “Gooli” Kubay and soon gave birth to a daughter, Bongi. White doctors suggested a mastectomy to treat an abscess in Zenzi’s breast, but she refused, turning instead to her mother for traditional healing. Two years later, Zenzi left her husband because he had been physically abusing her. She supported her daughter by taking on domestic work and singing at weddings, funerals, and other events. In 1954, Makeba joined the Manhattan Brothers, recording her signature song, “Pata Pata,” and performing throughout South Africa, Rhodesia, and the Belgian Congo. Makeba’s singing career quickly blossomed in South Africa as she made solo records and took on her professional name, Miriam Makeba. Between 1958 and 1960, she joined an all female group, the Skylarks, and toured with the musical African Jazz & Variety and the jazz opera King Kong. Witnessing racist policies such as separate black and white audiences, Makeba vowed to sing about the poverty and injustice in South Africa. She attracted international attention by starring in an anti-apartheid film, Come Back, Africa, produced by independent American filmmaker Lionel Rogosin. The filmmaker hosted Makeba at the film’s debut at the 1959 Venice Film Festival and arranged for her to appear in America. While waiting three months in London for her visa to the U.S., Makeba had a brief marriage with boyfriend Sonny Pillay, a South African ballad singer of Indian descent. In England, Makeba also met West-Indian born singer Harry Belafonte, who offered to act as her mentor in the U.S. Once in America, Makeba appeared on Steve Allen’s national TV show and performed a month-long gig at a New York nightclub, supported by Belafonte, who she dubbed “Big Brother.” Excited by her success in the U.S. and missing her daughter, Makeba sent for Bongi. The apartheid government permitted Bongi to join her mother, but deeming Makeba too revolutionary, did not allow the singer to return to South Africa in 1960 to attend her mother’s funeral. Makeba was devastated to find herself in exile, but pushed forward with her musical career. By the mid-1960s, Makeba achieved international acclaim, touring with Belafonte and collaborating on a Grammy-award winning record, An Evening with Belafonte/Makeba (1965). During this time she sang for President Kennedy’s birthday and released several solo albums including The Voice of Africa (1964). Best known for African songs such as “The Click Song,” a Xhosan wedding tune, and “Wimoweh,” a Zulu lion-hunting song, Makeba also began blending genres including jazz, Portuguese fados, Yiddish melodies, and other folk styles, long before anyone talked about “world” music. In 1964 Makeba married another South African exile, musician Hugh Masekela, but the two divorced two years later. During this time Makeba also battled cervical cancer, successfully recovering from surgery. While facing her own pain, she continued to draw attention to the suffering of her people, speaking about the horrors of apartheid before the UN General Assembly in 1964 and 1975 and winning the Dag Hammerskjold Peace Prize in 1986. 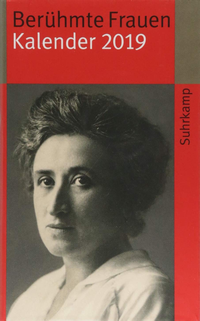 The apartheid government responded by banning her recordings until 1988. The Western music industry also punished Makeba for her political beliefs. When she married U.S. black power activist Stokely Carmichael in 1968, U.S. promoters canceled concerts and record contracts and American consumers boycotted records. 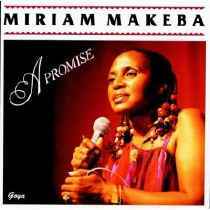 The couple moved to Guinea and Makeba continued to tour in Europe, South America, and Africa, releasing the acclaimed album A Promise in 1975. After Makeba and Carmichael divorced in 1978, Makeba stayed in Guinea, serving as the country’s ambassador to the UN and marrying a Belgian airline employee named Bageot Bah. In the early 1980s, Makeba struggled with immense grief over the loss of her daughter Bongi to childbirth and her youngest grandson to illness. Makeba turned to religious faith and to music to help overcome her loss. In 1987, she joined Paul Simon and Ladysmith Black Mambazo for the Graceland World Tour and by 1989 she had released two solo albums and written her autobiography, Makeba: My Story. After thirty years of exile, Makeba returned to South Africa in 1991, following Nelson Mandela’s release from prison. Her first South African concert was a huge success, helping her launch a world tour and two successful albums, Eyes on Tomorrow (1991) and the Grammy-nominated Homeland (2000). Since her return from exile, Makeba has also helped craft the newly free South Africa: she has served as Goodwill Ambassador to the UN, founded the Makeba Rehabilitation Centre for Girls, and supported the struggle against HIV and AIDS. 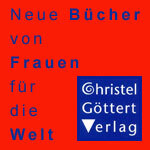 For links to videos, see the German version. Makeba, Miriam & James Hall. 1988. Makeba: My Story.. New York. New American Library.